Hey folks, sorry for the lack of posts. I’ve been trying to make a black jelly glitter and I’ve hit a big wall of Fail. The black base has to be transparent enough for the glitter to show, but so far, all I can get is a sickly mold color. So I’ve been holding off on frankening for a while, and I’ve been busy with my online shop- soon I’ll have my 100th sale! Thanks everyone! So, while I don’t have that fabulous black jelly glitter to show you, I will show you some super-wacky Japan Nail Expo pics. I’m sorry if you’re tired of them, but I love them! (Or, maybe I should say I love the idea of them…) Click to enlarge. 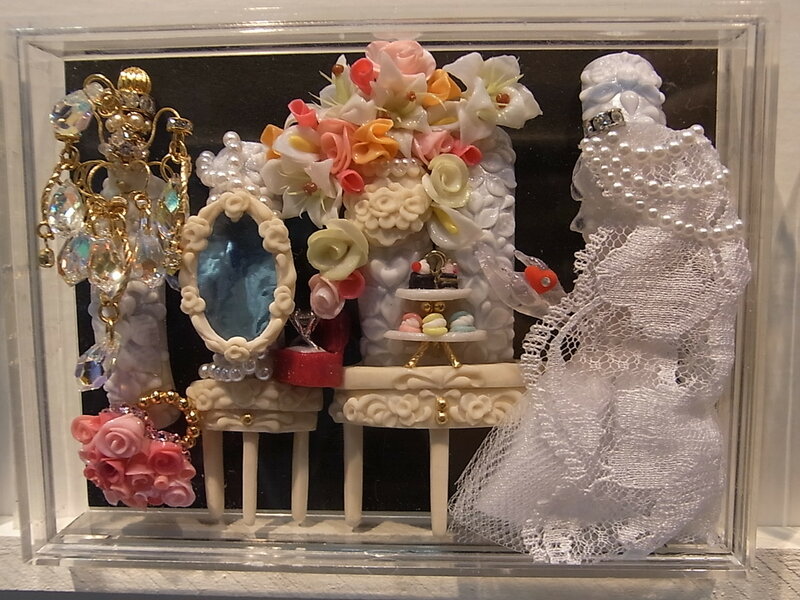 Wow…a wedding dress, chandelier, bouquet of roses, wedding cupcakes (? )- this one has it all. Plus check out the acrylic flowers sculpted onto the bases. The Japanese seem prefer the nails to be “upside down”- or at least to me, it it- the design is facing outward, so when you look at your nails, it appears to be upside down. For the contest all the props and add-ons with the nails also have to be made of acrylic or gel, but most of what you see is actually attached to the nails. Just don’t sneeze, or you might poke your eye out. Classic interpretation of the “Love and Soul” theme, with classically bad Japanese English. 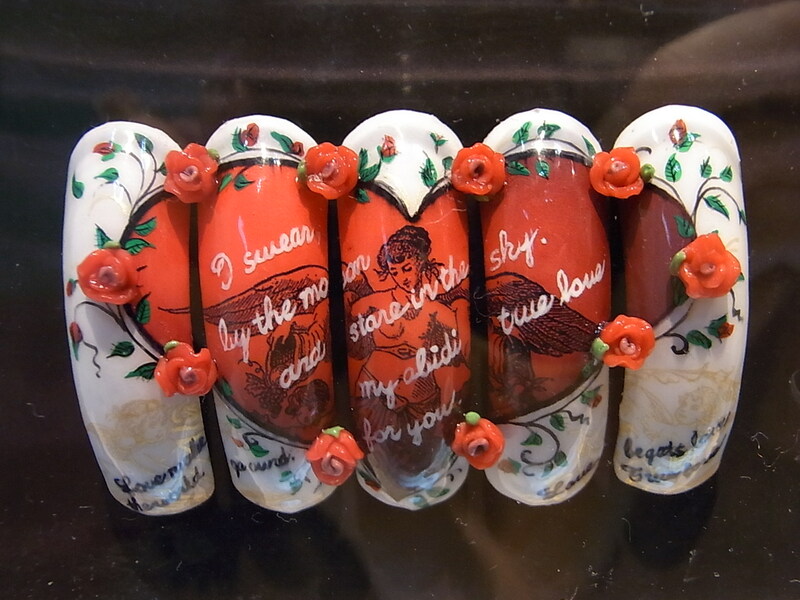 “I swear by the moon and stare in the sky, my abidi true love for you?” I wonder if the cherub was handpainted or transferred on with one of those nail art transfer copier thingamajiggies. The wings look like it would be physically impossible to paint them. Nice job, shame that they didn’t check the English. But then again, it doesn’t matter because I’m sure no one knows it’s incorrect. These just blew me away. 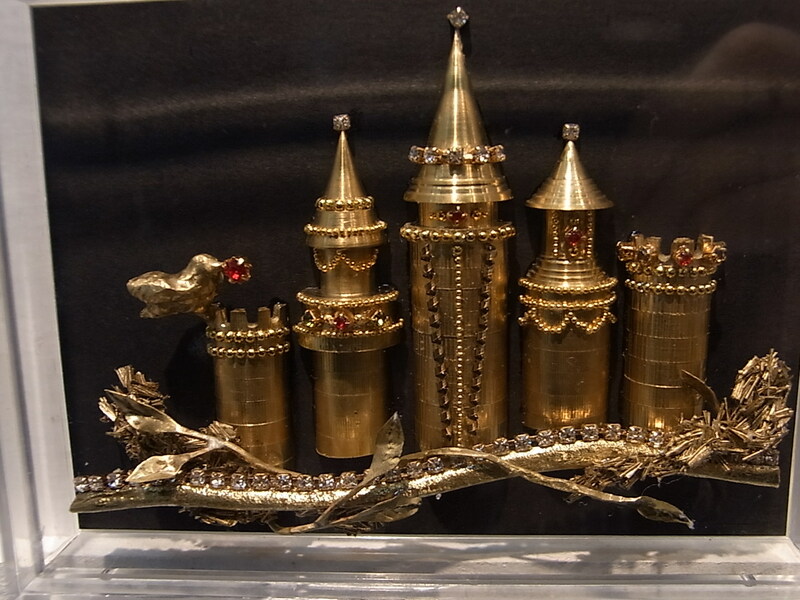 Probably uncomfortable as heck to wear, and could cause grave facial injury, but these are brass castles. Brass. Castles. Attached to nails! I am at a loss for words. And in the Truly Terrifying category, we have an evil dragon, skeletal wings, ominous clouds, a beehive hairdo and something that looks like the rubble of a city that got bombed out. Anyone know how this relates to Heart and Soul? Is there a story I’m not getting here? Because if I see anyone wearing these, I think I’ll give them a wide berth. Nail artist. Wanderer. I'm a color-holic, in fact, it was my love of color that brought me to the nail art world. Well, that, and the fact I was too cheap to pay crazy Japanese prices for nail polish while living in Tokyo, so I had to start mixing my own. That's how NTMG began. This entry was posted in Japanese Nail Art and tagged art nail, awesomely tacky nails, Japanese Nail Art, loss for words, tacky beyond belief nail art, Tokyo Nail Expo 2009, wow...just wow. Bookmark the permalink. I enjoy seeing your photos. These are all nails? I’m just speechless. I hope no one ever attempts to wear these. Yeah, could you imagine explaining to the doctor why there’s an eyeball stuck to the turret of the castle? Yikes! Heart and soul you say, hmmmmm very interesting! The first one’s I can barely even see the nails in! I’m loving the cupcakes though! Those are simply amazing…but when the nails are no longer nails (like photo #1: sorry but chair legs are not flattering items on your finger nails) they defeat the purpose of it being a nail art competition. Well, it’s more of a sculptural art thing than wearability or practicality. 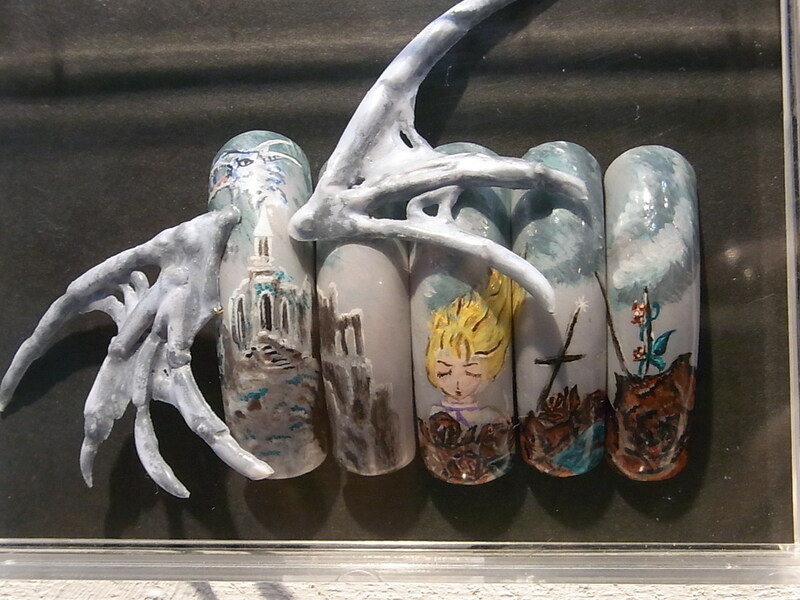 But they do have to fit on natural nails and be modelled during the contest. Unfortunately I arrived after that bit of the show was over.